Published to complement the exhibition Paris: Capital of the Arts at the Royal Academy of Arts, London, this superb collection of photographs, expertly reproduced in duotone plates, examines the side-by-side development of photography and the city of Paris from the turn of the last century through the tumultuous days of 1968. During these remarkable decades, Paris witnessed massive industrialization, two world wars, and social upheaval. 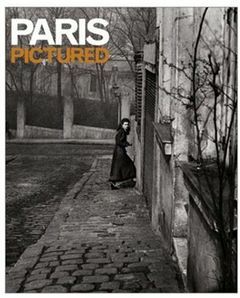 The ever-advancing medium of photography captured every aspect of the changes.Organized chronologically, and supported by Stallabrass's authoritative text, Paris Pictured includes some 120 photographs by luminaries such as Atget, Brassai, Kertesz, Cartier-Bresson, Doisneau, Ronis, Capa, Lartigue, Man Ray, and Moholy-Nagy, making it essential for all lovers of Paris and great photography.